Skanbo creates advertising that is elegant, conspicuous and “different”. And it also does that in the segment Displays & More, a further core strength of Skanbo. In this segment customers can avail of traditional free-standing billboards, roll-up banners, floor poster frames, through to back walls for trade fair stands. 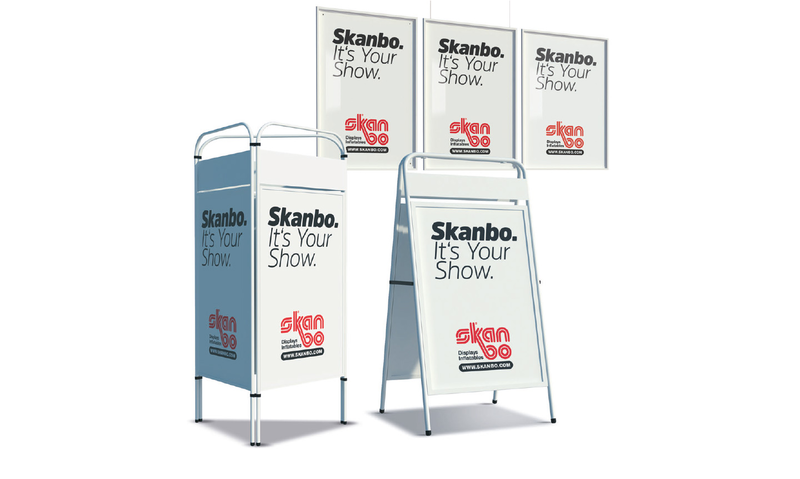 All Skanbo displays have some important things in common: The good quality, the fair price and the individual possibilities.